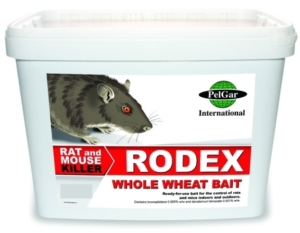 We understand that discovering rats in your home or business can be very stressful. Rats carry and transmit all types of serious diseases; they can cause a lot of damage to properties, pipework, electrics and contaminate food. The body of a rat can be up to 25cm long with the tail being a similar length to the body; this would put a rat at a length, on average, of half a metre. The males weigh around 350g whereas females weigh around 250g, however, rats can grow to quite a huge size, anything up to 1000g. Rat’s fur is brown, grey or black and the fur underneath is usually lighter. They have very sensitive hearing and their sense of smell is very highly developed. Rats can be found in the loft, cavity walls, floorboards, kitchen, under decking, in gardens, sheds and garages. Rats can breed throughout the year if the conditions are right; a female can produce up to 5 litters a year. Litters become sexually mature after 5 weeks and will live up to 3 years, although most live around a year. Rats have the ability to chew through wiring, gnaw through plastics, wood and mild steel surfaces. They can produce up to forty droppings per night; they are sausage shaped at approximately 1-2cm long. Mice droppings are more like the size and shape of a grain of rice. For any unfamiliar scratching or grinding noises, rats know how to climb, swim and tend to scurry under floorboards. For footprints and rub marks; rats tend to leave foot and tail marks in less-used dusty areas. They use established routes along walls and skirting boards to navigate due to their poor eyesight. If you notice unexplainable dirt or grease smudges on surfaces or objects, this can also be a sign of rodent activity. Rats are known for digging extensive burrow systems for food storage, nesting and shelter; it’s within their nature. A burrow will eventually develop into a whole series of tunnels on multiple levels with entrance holes. 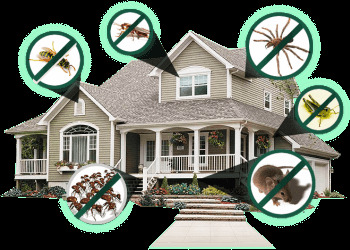 Call Smart Touch Pest Control, our highly qualified technicians are very experienced with rat control. We can ensure that the problem will be dealt with quickly and effectively preventing any further chaos.